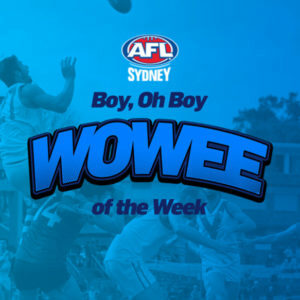 Are you Australia's fastest amateur junior footy player? The Gatorade AFL Grand Final Sprint is coming to a community near you as they search for Australia’s fastest amateur 14-18-year-old AFL footballer (of a registered AFL community club) to compete against the country’s fastest players at the 2018 Toyota AFL Grand Final. 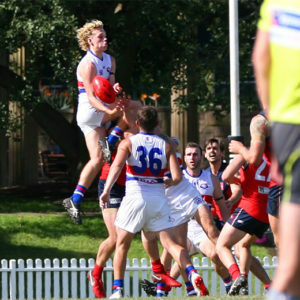 Heats will be held in Sydney this August, with the first round held at St Luke’s Oval in Sydney and the second in front of thousands at the Sydney Derby in Round 22. Each Gatorade 100 State Heat will see every entrant run 100 metres. 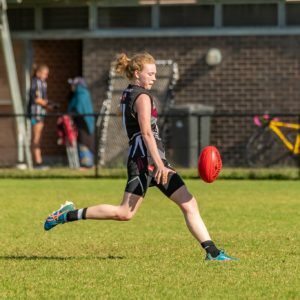 The 14 fastest amateur footballers from each of the five State Heat events will progress and compete in the State Finals held in the pre-game of selected Toyota AFL Premiership Season matches between Rounds 18-23. 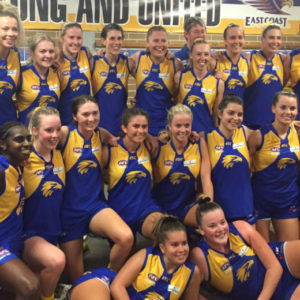 The two winners of each State Final will then compete in the Gatorade 100 Final in the pre-match of the 2018 Toyota AFL Grand Final. 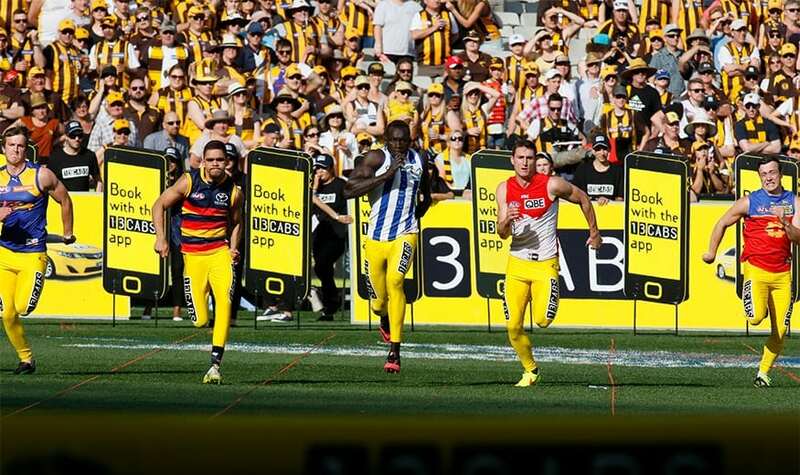 The top two amateurs from this race will be crowned Grand Finalists and progress to compete against the top eight fastest AFL players in the 2018 Gatorade AFL Grand Final Half Time Sprint. This is a fantastic opportunity for grassroots clubs and players to be recognised and represented on the greatest day on the Australian sporting calendar. What to expect at the G100 State Heats? 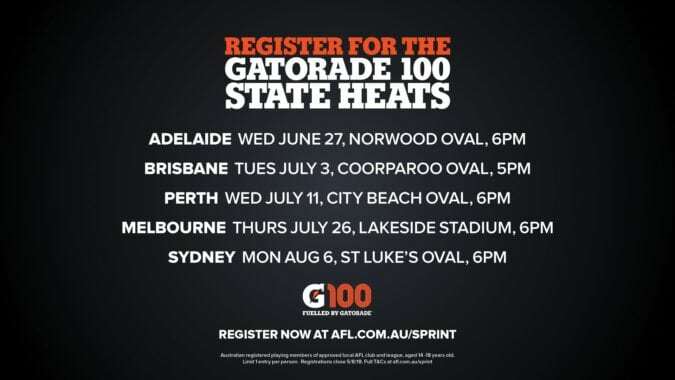 The top three registered amateur AFL clubs who have the most participants compete at a G100 State Heat, will receive Gatorade hardware and Gatorade product to the value of $1,000. The winners of each State Final will receive return flights, accommodation, transfers and tickets for 2 people to the 2018 Toyota AFL Grand Final. Winner of the G100 Final will also receive a $1,000 cash prize. It is easy for individuals to enter, all you need to do is register at: www.afl.com.au/sprint. The Gatorade AFL Grand Final Sprint registration form along with the terms and conditions is accessible via AFL.com.au/sprint. Registrations close at 11.59pm AEST on Sunday August 5, 2018.